We want to empower developers to build great creative learning apps for kids. 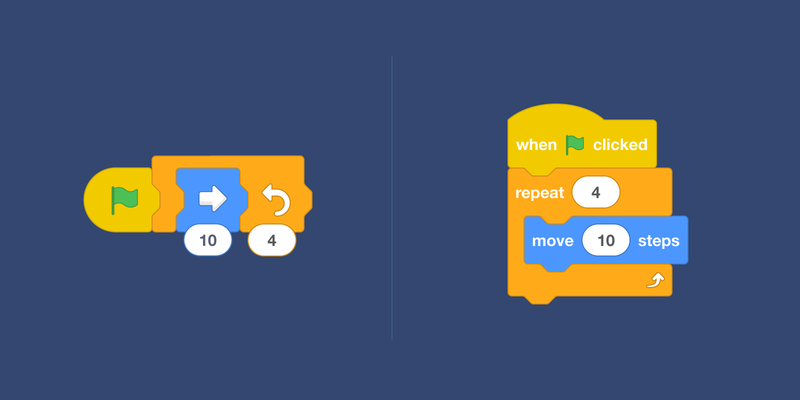 That's why, earlier this year, we announced Scratch Blocks, a free, open-source project created by the MIT Scratch and Google Kids Coding teams. Together, we are building this highly tinkerable and playful block-based programming grammar based on MIT's popular Scratch language and Blockly's architecture. 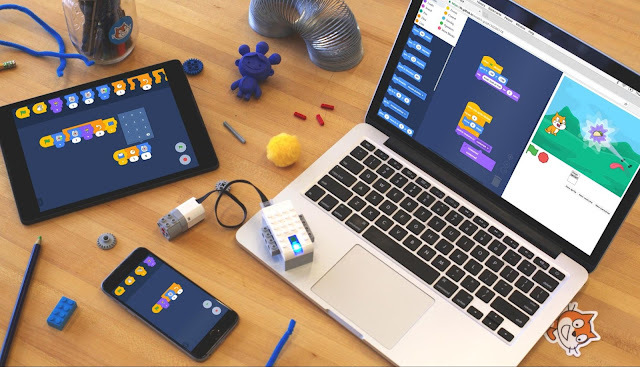 With Scratch Blocks, developers can integrate Scratch-style coding into apps for kids. Computational thinking1 is a valuable skill for everyone. In order to support developers building a wide diversity of coding experiences with Scratch Blocks, we've designed two related block grammars that can be used in a variety of contexts. One grammar uses icon-based blocks that connect horizontally, while the other uses text-based blocks that connect vertically. We started by developing the horizontal grammar, which is well-suited for beginners of all ages due to its simplicity and limited number of blocks; additionally, this grammar is easier to manipulate on small screens. You can see an example of the horizontal icon-based grammar in Code a Snowflake (an activity in this year's Google Santa Tracker) built by the Google Kids Coding Team. More recently, we've added the vertical grammar, which supports a wider range of complex concepts. The horizontal grammar can also be translated into vertical blocks, making it possible to transition between the grammars. We imagine this will be useful in a number of situations, including designing for multiple screen sizes, or as an element of the app's learning experience. These first six months of Scratch Blocks have been a lot of work - and a ton of fun. To stay up to date on the project, check out our Github project, and learn more on our Developer Page.